The Foundation for Liver Research | Extra CMS website Deisgn & Build with improved UX. 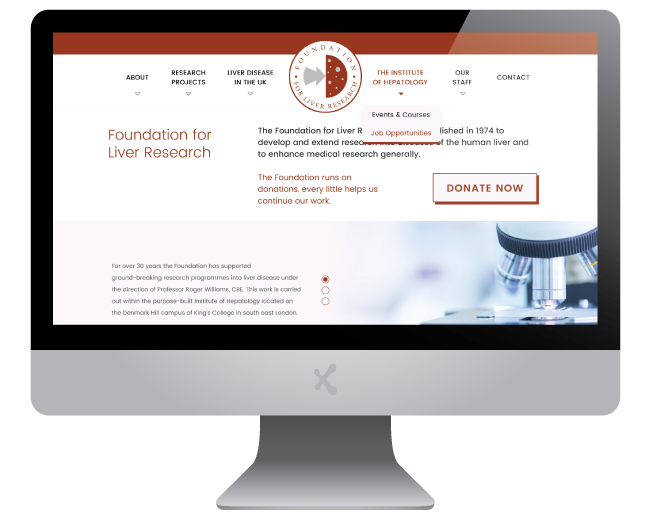 The Foundation for Liver Research approached ExtraDigital with a need to improve their existing website, to make it accessible for the modern user and improve the experience for users and staff alike. ExtraDigital worked closely with The Foundation to achieve a design that remained true to their existing branding while bringing the aesthetic up to date and in-line with modern website standards. A clean aesthetic, concise direction was devised, that utilised a good resource of imagery The Foundation had recently commissioned. The homepage features a new video that showcases the vital work that The Foundation for Liver Research conducts, and gives a good insight into the nature of the foundation. A secondary aim of the site is to generate donations from users, clear CTA's were implemented throughout the site leading to a donation gateway which was already in place. The Foundation has a great resource of Research Projects that they wanted to showcase on the homepage, the CMS was configured so that these could easily be added by Foundation staff, with little room for error. This is a testament to the ease of the Extra CMS was built in-house by our developers and accounts as the CMS used for many of our client's sites. A dedicated Members Area was build to give members and staff access to extended features and resources. Again within the CMS, we made it easy for the user to define access to the content they are creating. 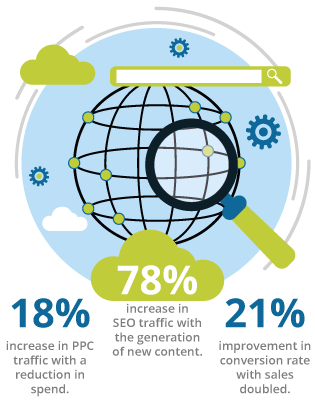 If you're looking to develop a new site or feel it's time to refresh your existing website, get in touch. Call on +44(0)1227 68 68 98. Alternatively, tell us a little more about your requirements below.